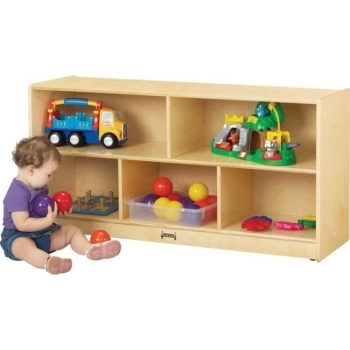 Apple School Supply > Storage > Storage Shelves, Storage Cubbies > Jonti-Craft ThriftyKYDZ Toddler Single Mobile Storage Unit - 0324TK Unassembled - FREE SHIPPING!! Jonti-Craft ThriftyKYDZ Toddler Single Mobile Storage Unit - 0324TK Unassembled - FREE SHIPPING!! Perfect for nursery and daycare use. 48" wide x 15" deep x 24.5" high. Save money by assembling yourself. Hardboard back only, back options not available. One year Warranty. Unassembled.